All the above tasks are performed with the help of a Database Management System (DBMS) and the leading and most widely used DBMS across the world today are the Oracle Database, Microsoft SQL Server, MySQL database etc. Out of the three DBMS technologies, Oracle Database is the most popular and widely used database in the world today. Oracle ASM, RAC and Data Guard are some advanced options in the Oracle database software that help provide high availability and protection of data. We are currently offering a world class training program for interested students and professionals in Oracle RAC (Real Application Clusters), ASM (Automatic Storage Management) and Data Guard. The skills learnt from this course have huge demand in the job market. Registration for this training course is open for anyone in the world because it is an online course. 1. Taught by Srini Ramineni (Founder, DBA University). 2. The training course consists of 21 sessions (21 videos) with each such video about 1 hour to 1.5 hours in duration. 3. Students get access to all the 21 videos for 12 months on a 24*7 basis. 4. Remote LAB access: We will give our Remote Desktop Connection for Oracle ASM lab practical exercises of the training. For remaining topics of the training, students have to setup the lab on their PC (Windows or Mac). We will provide guidance on setting up the cluster on your PC through a special virtual machine (VM). Our training material’s detailed screenshots and notes will make it very easy to build the 2 node Oracle RAC cluster on your PC. We will provide 1:1 support by conducting an online meeting to resolve any issues you may face while building the 2 node Oracle RAC cluster on your PC. We require students to have at least 8 GB of memory on their desktop (or) laptop. We will provide access to download this virtual machine using Dropbox email download. 5. Click HERE to download the training brochure (course topics and more details). 6. This course is based on Oracle 12c R1 version. 7. The training contains Oracle high availability topics such as Oracle ASM, Oracle RAC and Data Guard which have a huge demand in the job marketplace. 8. The tuition fee for the course is $499 (all-inclusive price). 9. Every student gets access to download our 400 page PDF training material using Dropbox.com email download. Introduction and benefits of Oracle ASM. Oracle ASM 12c software installation and configuration (Grid Infrastructure). Oracle ASMLib Utility for managing ASM Disk Storage. Oracle 12c ASMCA (ASM Configuration Assistant). ASM Parameter file, ASM Instance and working with DISKGROUPS. Creating Database Files using ASM. Understanding ASM Disk Redundancy (Mirroring). Learn about the three levels of ASM redundancy. How Oracle manages ASM Disk failures. How to replace a failed ASM disk with a new disk. Components of an Oracle RAC environment. Setup two Linux servers in a network before creating a 2-Node Oracle RAC database. Pre-requisites for Oracle RAC installations. Installation and configuration of Oracle Grid Infrastructure in cluster mode. Understand the functionality of Oracle Clusterware storage (Voting Disk, OCR Disk). How to backup and restore Oracle Clusterware storage (Voting Disk, OCR Disk). Creation of an Oracle 12c Multi-tenant RAC database and instances using ASM storage. Differences between a RAC database and the non-RAC database (single instance). How to change initialization parameters for an Oracle RAC database. Advantages of Oracle Single client access name (SCAN) in RAC database connections. Understand and perform connection failovers of SCAN Listeners and Local Listeners. Understand database services for Oracle RAC in a multi-tenant architecture. Oracle Net Services configuration for a cluster database. How to backup Oracle RAC databases using RMAN Utility. Backup of Oracle RAC databases in a CDB (Multi-tenant) vs non-CDB environment. How to use the cluster verify utility for performing health checks in Oracle RAC. How to utilize Global performance views (GV$ views) in monitoring RAC instances. How to terminate database sessions in Oracle RAC. How to clear database transactional row level locks in Oracle RAC. How to perform Oracle database export and import operations in cluster mode. Understand the new Oracle OPatchauto tool introduced in Oracle 12c. Introduction to Oracle 12c Data Guard and its various protection modes. 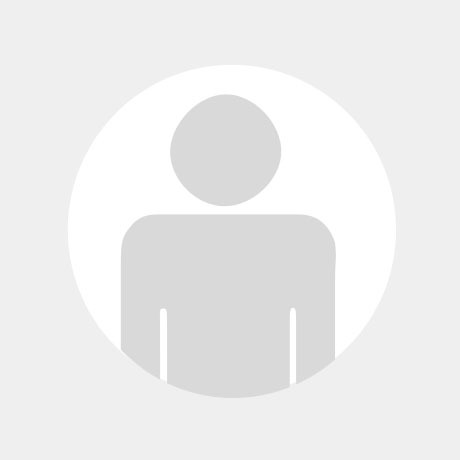 How to enable an Oracle database to belong to a Data Guard configuration. Understand the initialization parameter requirements of Primary and Standby databases. Create a physical standby database using Primary database full RMAN backup. How to configure a Primary database to become a future standby database. Understand Oracle data dictionary views for monitoring Log Shipping and Log Apply. Introduction to Oracle Data Guard broker (DGMGRL) utility. Advantages of DGMGRL over the traditional sqlplus utility. How to create a Data Guard Broker configuration. How to perform a switchover operation using Data Guard Broker. Really enjoyed the online course conducted my Srini.I first took the Oracle RAC ASM DG course, the training was so interesting and informative, I was very impressed by the training so I also took the Oracle DBA training from Srini. He is a very knowledgeable person and explains everything clearly and patiently .The material provided as part of the course is so useful and easy to follow. The training and the labs are well planned and structured. I would recommend these courses for both beginners and for the DBA’s who are already doing some admin tasks who desires an understanding of what they are doing already , Srini covers both basics and advance level topics as part of this training. He is very prompt on replying to emails when you have any questions or issues. I’m glad to have taken the courses from dbauniversity. Thanks Srini, I really appreciate your effort and teaching method. I took 2 courses (oracle DBA training and SQL training ) at DBA university. Both courses were well presented and had a good number of labs. SRINI is a great instructor and has a lot of experience. He has great knowledge on database administration.He is very engaging and patient.He provided very good and clear explanations of very difficult concepts and made sure every student was on the same page.I learned a lot of valuable information from him and was able to pass my exams.I can only say job well done and money well spent. I am currently taking my 3rd course( Oracle RAC ,ASM and DATA GUARD ) and so far i am having a wonderful experience. I underwent training in this DBA university and the faculty is amazing…I didnt expect this much of information to be acquired out of this training. The faculty uses white board and instant lab sessions, so you will feel like typical classroom training and since the lab sessions are completed then and there, you dont need to work hard after the session gets over. You just need to be focused and follow instruction of the faculty to become a expert DBA either in core concepts or in RAC,ASM and DG. The training is truly amazing and enhanced my knowledge multi fold. I felt its worth spending time and money on Oracle DBA training session provided by srini , am from different background and never felt its difficult in shifting my career towards oracle DBA it was that smooth and clean training provided by srini. Am looking forward to take RAC DBA training session. Very few trainers spend time explaining every detail of a course. I have had the chance to do just one course (Oracle DBA) at DBA university, but will not hesitate one moment taking up another course. The trainer summarized his tremendous experience in the IT sector, and passed it on to the students, addressing every concept that matters with practical exercises! At the beginning it was not that easy, but thanks to the trainer for making it possible to enjoy an entirely new domain. Beside the skills, the platform is amazing. The sound quality is excellent! I could not differentiate from a traditional 4-wall classroom…GREAT JOB! 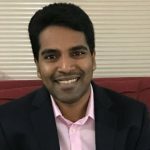 I took the Oracle RAC ASM DG course and thoroughly enjoyed it. This was my second course with DBA University (the first being the Oracle DBA Training course), and both were well worth it. Srini is a pretty knowledgeable instructor. Not only did he explain things clearly but he related the course material to real-life situations as well. I wish such advanced topics as encryption, data masking, Virtual Private Databases, etc. had been covered. Maybe something for the future or possibly even a new course altogether! I strongly recommend these courses for anyone thinking about going into Oracle database administration, and I won’t hesitate to take future courses with DBA University. I have just finished taking the Oracle DBA course at DBA University and I’ve learned a ton. I found the course to be very well structured and was delivered in a way anyone can learn and develop a skill set that will make a difference. The training materials were user-friendly with a very informative text-book that is easy to read and understand. The labs were well organized with step-by step categories that are color coded for ease reference. My teacher was Srini Ramineni and he did an awesome job. I found him to be a very knowledgeable instructor who knows his subject matter. He was very clear and thorough in every topic and I have gained a lot of knowledge from watching and listening to his lectures. As a visual learner myself, I have benefitted greatly from his labs demonstrations and the diagrams that he draws to elaborate on the key points that should not be missed by any future DBA. Without doubt, he knows how to break down even the most seemingly complex topic and he teach it in a way anyone can understand. As a student who took the recorded version of the training, I never felt alone or forgotten. Whenever I needed help, my instructor was available without fail and in a timely fashion. He made my learning experience to be fun and indeed, I enjoyed every step of the way. To anyone who is looking to learn a skill set that will change your life for the better, DBA University is a great place to be. You can rest assured that you will be equipped with knowledge and ability that will lead to a very rewarding career. Oracle DBA course material is very well prepared and organized. Lab practices and home works are very well timed with the topics covered during the training sessions. Most importantly, the experienced, knowledgeable and professional instructor (Srini) is excellent in teaching, training and preparing the students to achieve their future career goals in the database field. If needed, the instructor also goes beyond the training schedule to cover the material. I not only recommend the course, but also strongly recommend any courses that are offered by this instructor. And I have already registered myself for the next course (“Oracle RAC, ASM and DG”) offered by the same instructor. 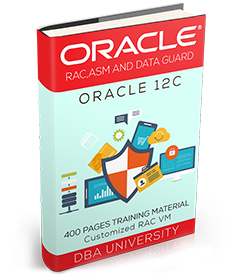 I have taken the course “Oracle RAC, ASM and DG” at the DBA University. It’s an excellent course tought by experienced, knowledgeable and professional instructor (Srini Ramineni). 25% of training on lab machine and remaining will be on student’s PCs so that it helps student to continue to practice even after the course is completed. I also strongly recommend this course and any other courses offered by this instructor.